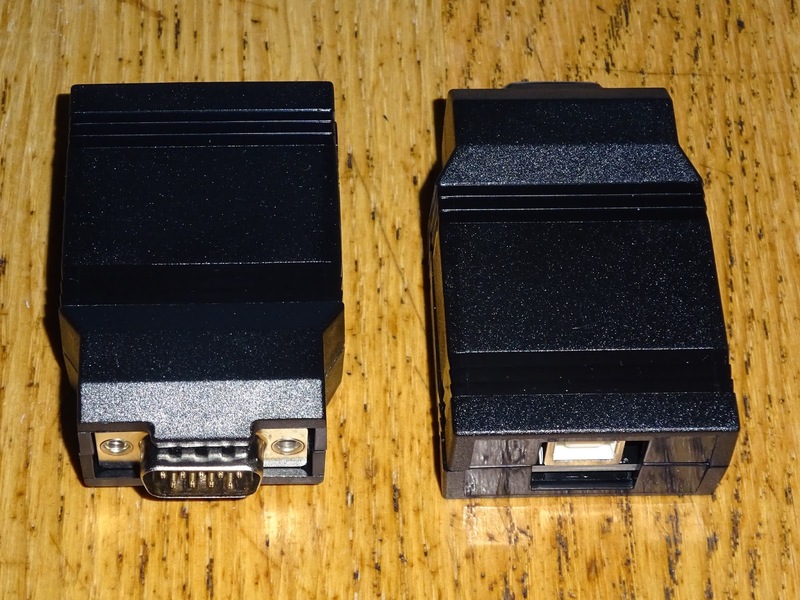 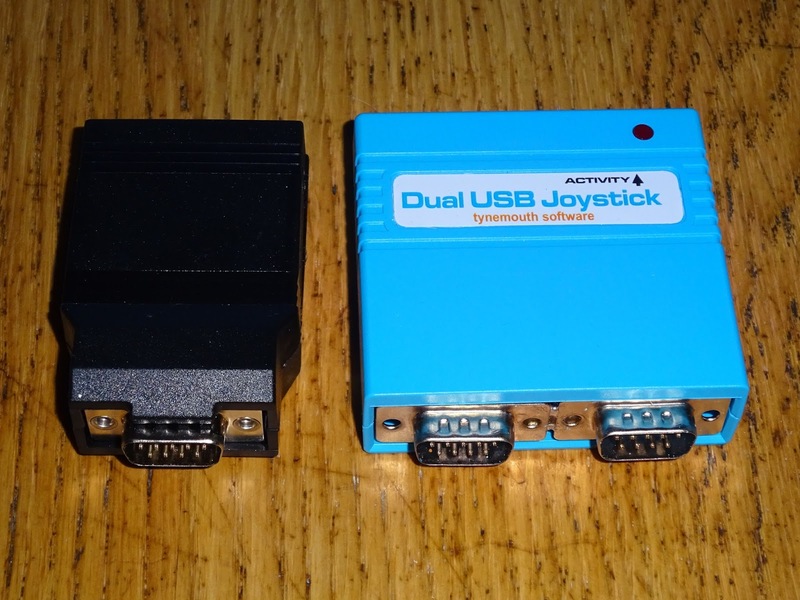 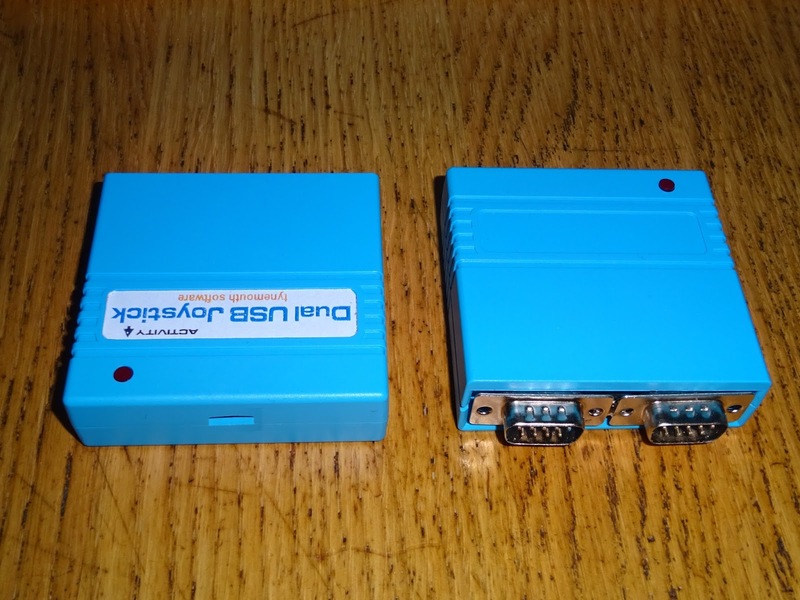 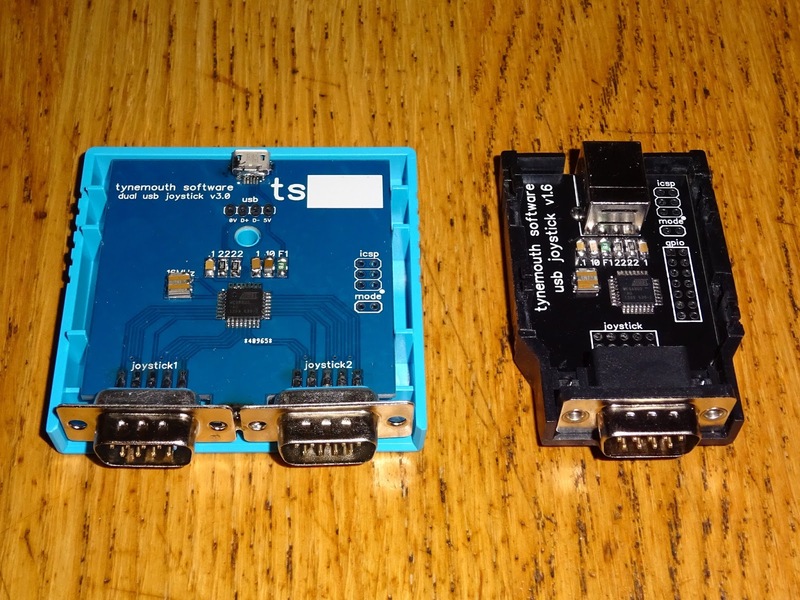 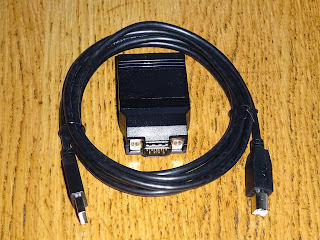 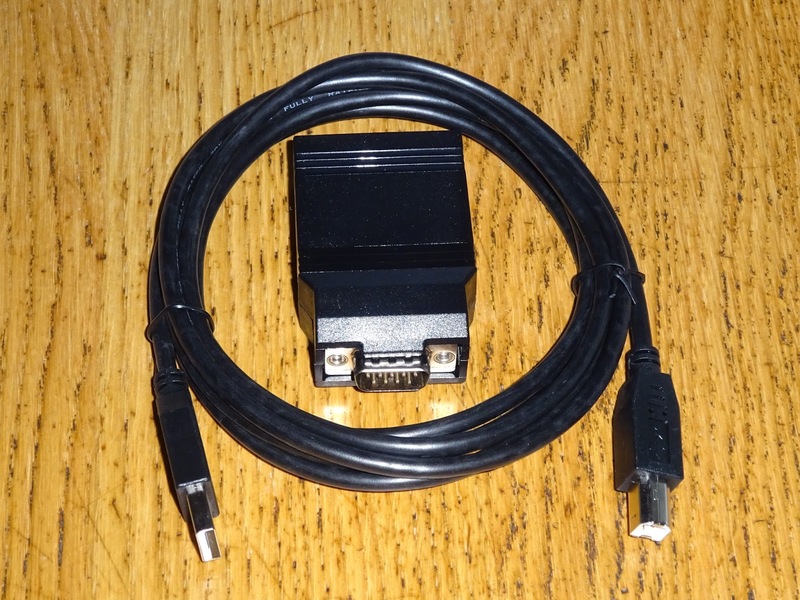 Introducing a new version of my USB joystick adapters, a dual 9 way D adapter. This allows you to connect one or two Atari / Commodore style joysticks. 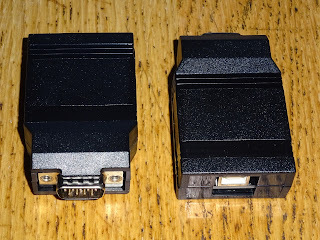 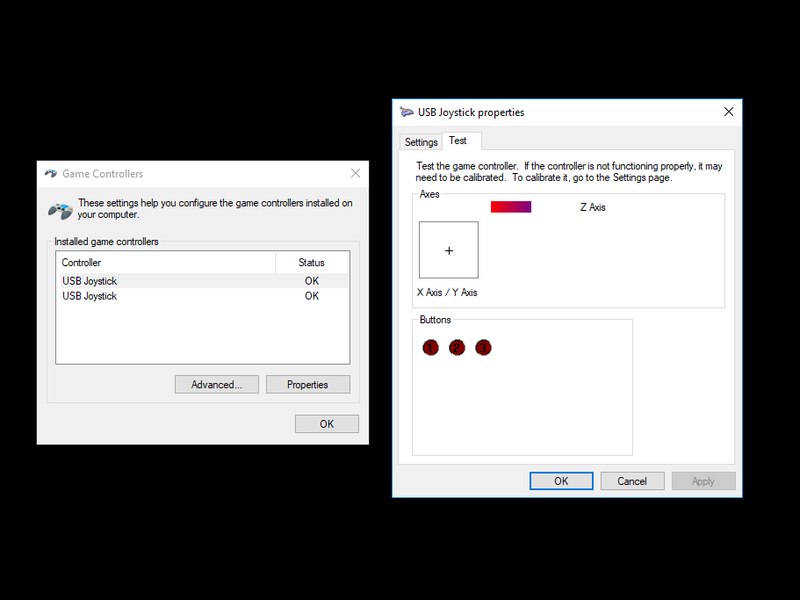 These appear to the PC or Raspberry Pi as USB game controllers, so you can control modern games, or more likely emulators. 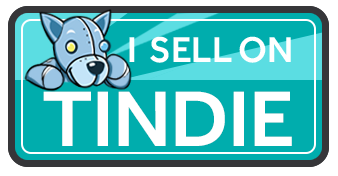 I have been making the single versions for a while. I found a nice off the shelf enclosure designed for a 9 way D connector at one end, and an RJ45 at the other, but it fits nicely with a USB connector. 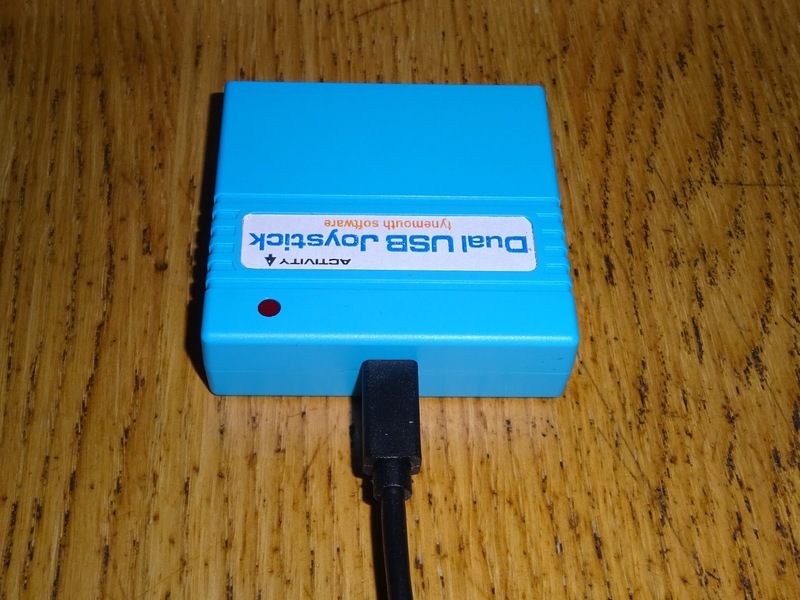 I couldn't find something suitable for a dual enclosure though, until one day, whilst looking at something for a different project, I happen to notice I already had a suitable enclosure that I could repurpose. 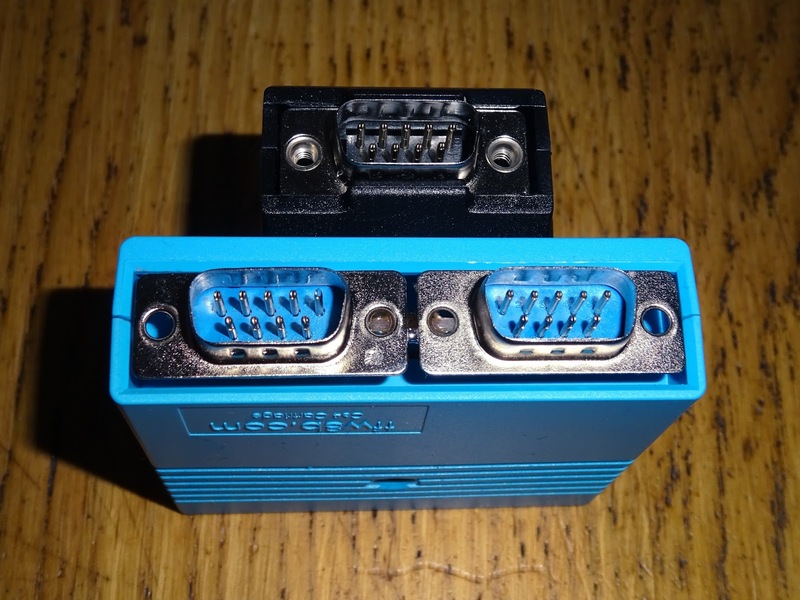 If you haven't already recognised it, here it is in it's normal use. 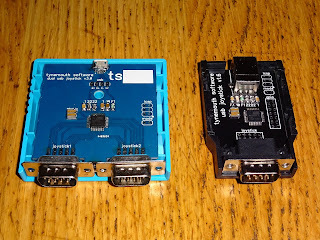 As with the single adapter, I have made a custom board to fit the enclosure. 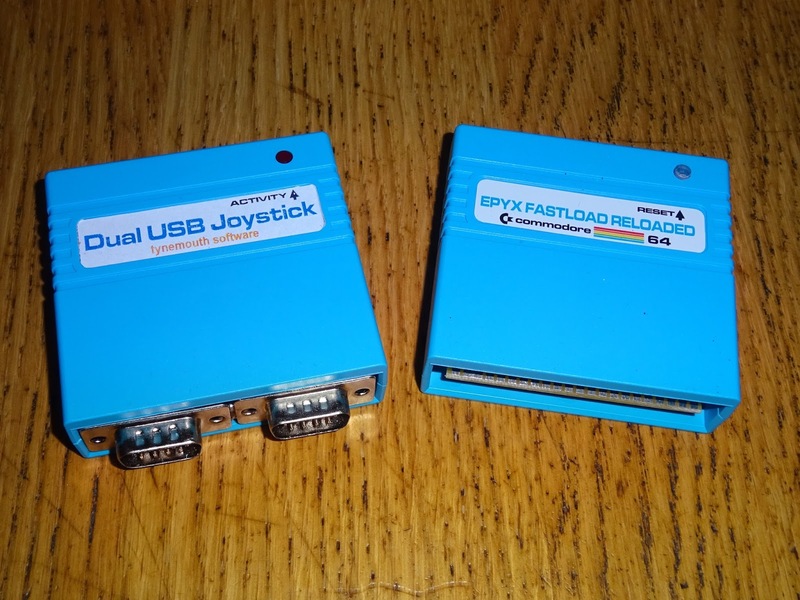 Some might say it was unnecessary to match the PCB silkscreen to the case, but those people probably wouldn't have bothered matching the interior of the connectors to the case colour either. The case needs minor surgery to add a slot for the micro USB connector, but other than that, it is perfect. 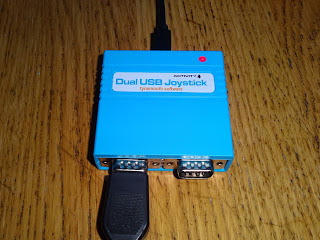 It has a hole for a button, which isn't required here, but I managed to get some LEDs to fit those, and have set those to light whenever a joystick is moved or a button is pressed, handy to test your joysticks and who doesn't like flashing lights? 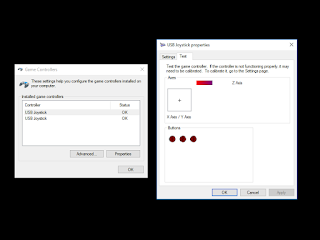 These appear to a Windows PC as USB game controllers with an X and Y axis and three buttons (although normally only one button is fitted to the joystick). 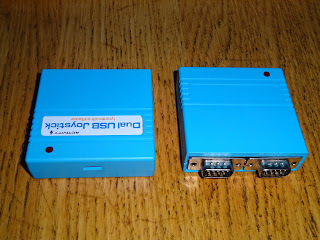 The hardware can support other 9 way D devices, such as Atari keypads and paddles, but these require alternate firmware, contact me if interested. 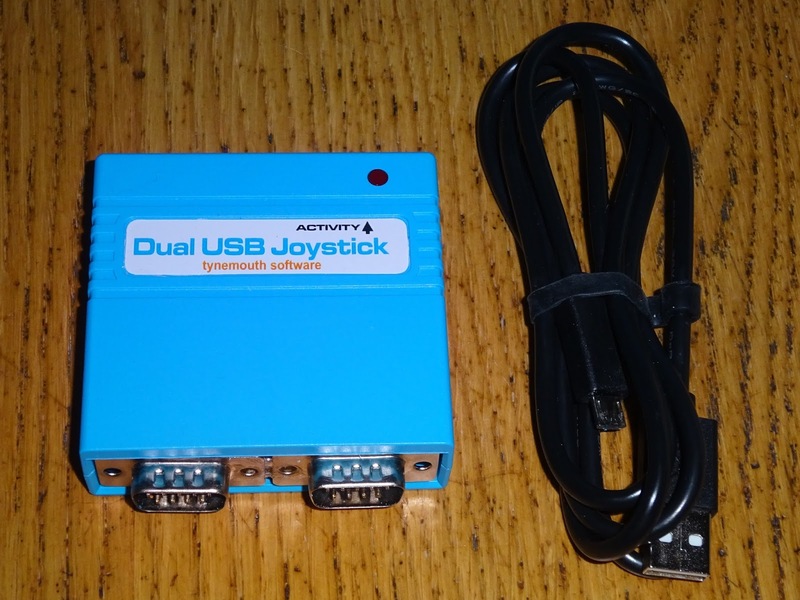 It could also support the Amiga mouse, but why would you want to? 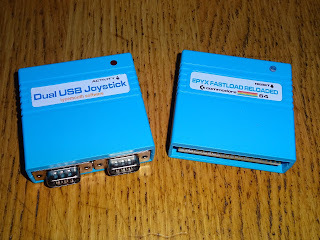 The single and dual USB joystick adapters are available now from my Tindie store. They are supplied with a USB cable, but you have to provide you own joysticks. 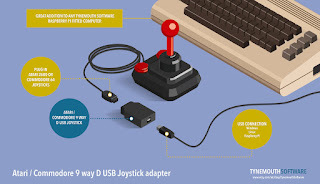 Time to dust off the Zip Stiks or Competition Pro, or even Atari 2600 controllers.